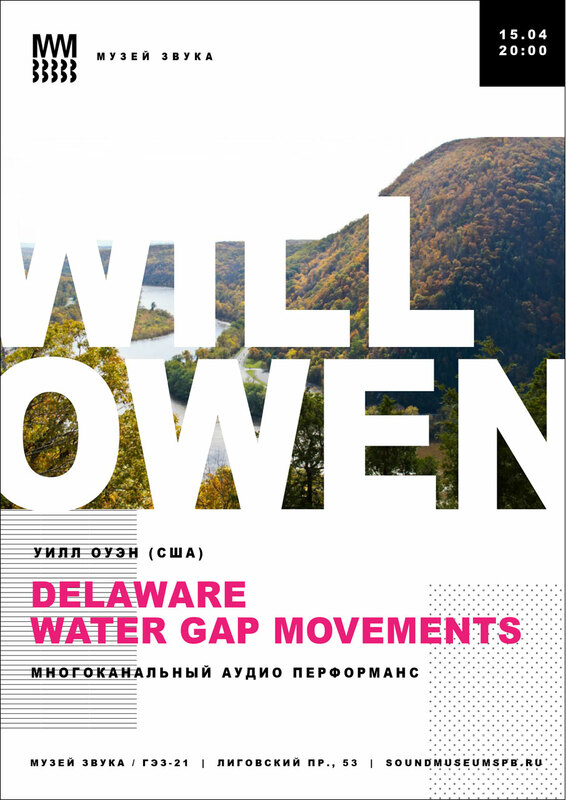 WILL OWEN (США): DELAWARE WATER GAP MOVEMENTS — Арт-центр "Пушкинская, 10"
Will Owen (originally from North Carolina, US) is an artist, composer, and curator currently based in Queens, NY and Philadelphia, PA. He is an artist in residence at Flux Factory (NYC) and a curator at Little Berlin Gallery (Philadelphia, PA). Will works mainly with Sound, Installation Design, and Food. He has exhibited internationally in Denmark, France, Iceland, Freetown Christiania, Wales, China, and Russia. Additionally, he has shown work extensively in the US at such institutions as The Museum of the Moving Image (NYC), Philadelphia Water Works Museum, Black Mountain College Museum, and Flux Factory (NYC), as well as many DIY art spaces. In 2015 he was awarded the honor of co-curating and performing in a MATA Interval performance executive produced by Philip Glass, Eleonor Sandresky, and Lisa Bielawa. In the same year he designed audio for the Copenhagen Metro station while he was city artist in residency for Copenhagen Art Week 2015.